Mercury (Hg) contamination in environmental matrices and associated human exposure has been recognized as a critical long-lasting issue worldwide. However, studies are still elusive that summarized the overall status of Hg pollution and its impacts on public health in Pakistan. 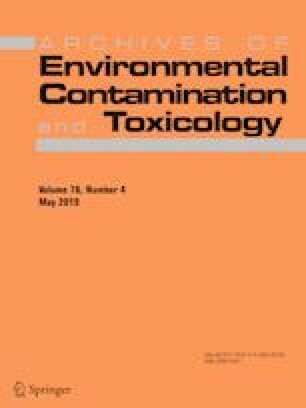 Hence, this review encompasses the environmental prevalence, potential sources, and human exposure tendencies to Hg contamination in Pakistan. Reviewed literature revealed jolting levels of Hg in various environmental samples, such as dust, soil, water, and air collected from the residential and industrial areas. Inhalation of Hg via dust particle was identified as the primary pathway for human exposure, while atmospheric deposition and gold mining are identified as the two primary sources of Hg contamination in the environment. Considering human exposure, the highest bioaccumulation of Hg was ranged from 5885 to 8698 µg/kg in hair samples collected from the residents of the Kashmir Valley, Pakistan. However, in the lower Himalayan regions, including Islamabad and Swabi, the concentration of Hg in hair samples was reported at 1085 µg/kg, slightly beyond WHO devised reference dose (RfD) of Hg (1000 µg/kg). This review revealed the worst scenario of Hg contamination in human biomatrices and environmental compartments in Pakistan, which needed immediate rehabilitation measures. The current work is supported by the National Key R&D Program of China (No. 2017YFD0800302) and the Natural Science Foundation of China (4157312).